Flat roofing on commercial buildings offers many benefits, such as easier installation because fewer materials are needed. The lifespan of a flat roof membrane ranges from 10 to 50 years. There are several factors that can shorten the lifespan of a roof membrane. 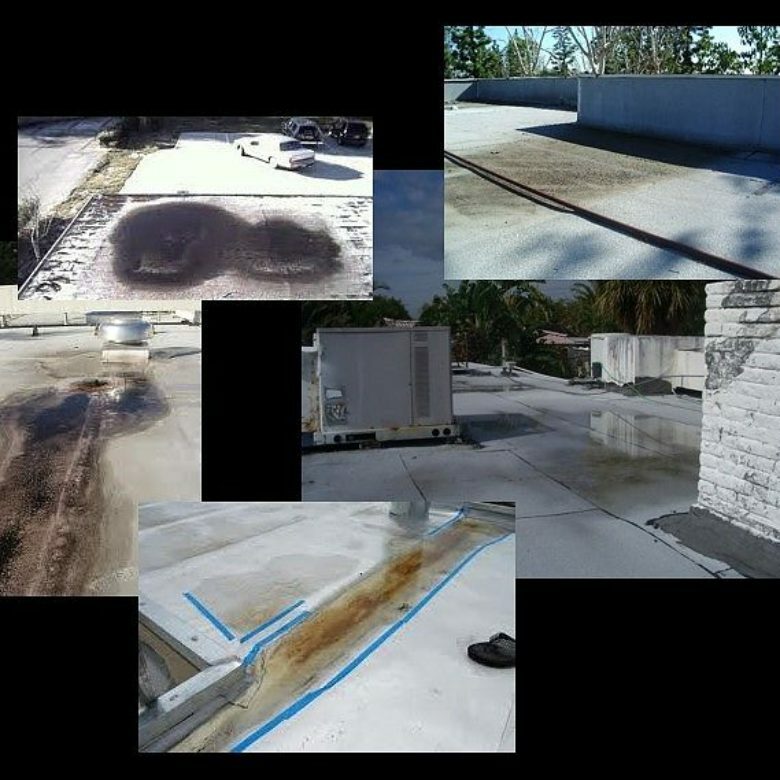 Here are four of these factors and what you need to consider if you want the membrane of your flat roof to last as long as possible. Climate is a major factor, regarding roof longevity. For example, harsh sun rays on flat roofs can cause a roof mat to lose its flexibility. When the coating on the roofing surface flakes, this causes the felt material that’s underneath to become exposed. Usually, deterioration occurs quicker on the sides of a roof that face either south or west. 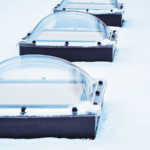 Extreme changes in temperature can affect the lifespan of a flat roof. Consider how temperature changes can cause a roofing membrane to expand and contract. This creates stress on not only the deck and walls of a roof, but it also strains the roof flashing. As a result, the roof mat can tear. What’s more, mortar in coping joints can fracture, leading to water entering. Hail can cause severe damage, taking off years from a roofing membrane. When hail hits a roof, the granules from asphalt shingles can become cracked or even be removed. It’s these granules that provide protection from harsh UV (ultraviolet sunlight). A roof that’s damaged from hail can result in a roof not lasting long. Even worse, hail damage can mean you won’t be covered in a roofing warranty because these warranties don’t pay for losses for what’s referred to “Acts of God”, such as hail damage. Rain is another huge weather factor. 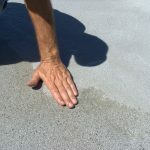 When rainwater seeps into a dry flat roof via cracks it can lead to leaks. This causes the roof structure to suffer from rot. Additional moisture can easily promote mildew to grow. Even worse, this can encourage rot in other areas of a home, such as the ceilings, walls, electrical systems and insulation. Also, when moisture converts into ice in freezing temperatures, the roof can become torn or heave. A flat roof’s lifespan can be linked to the kind of material that covers it. The least expensive covering is asphalt, which generally has a lifespan of only 10 years. A more expensive covering is rubber roofing, which is typically an elastomeric (EPDM) membrane or membrane made of synthetic rubber that isn’t covered with gravel. It provides superb UV protection and usually can last for 40 to 50 years. Another type of flat roofing membrane is thermoplastic olefin, which is constructed from ethylene propylene rubber, along with other filler materials. This membrane also has a lifespan of 40 to 50 years and is known for resisting punctures, tears and UV sun rays. Even the strongest roofing materials won’t be able to survive long if a roof isn’t installed properly. When there’s not enough insulation and the ventilation is inferior, it’s possible for damp air to build up underneath the surface of a roof, which leads to rot, mildew and mold developing. 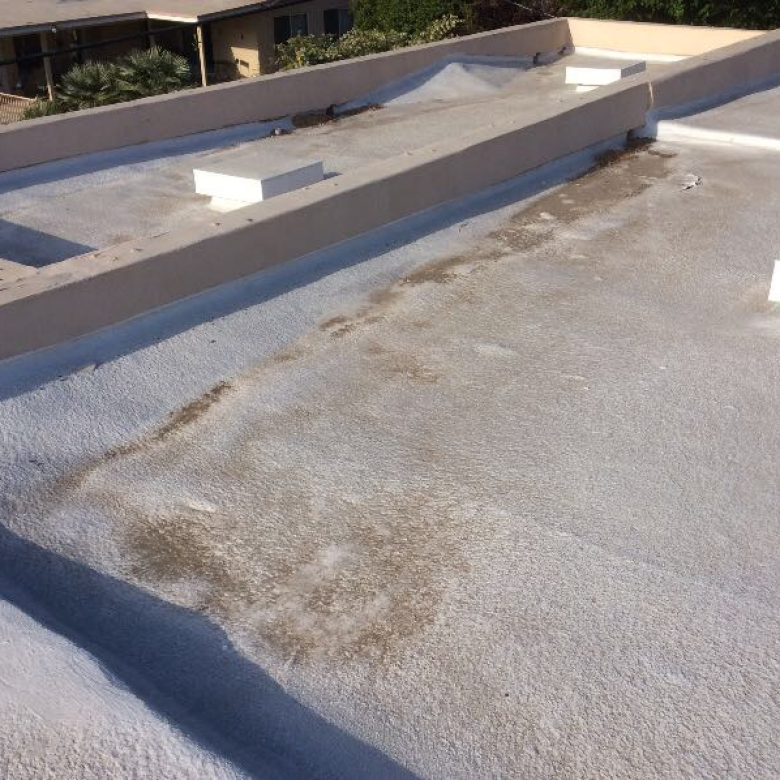 A roof that isn’t correctly waterproofed can lead to expensive and severe leak problems. Roof maintenance is particularly critical in knowing how long your roofing membrane will last. Proper roof upkeep entails making sure that your flat roof receives the correct drainage that it needs. When a flat roof suffers from ponding water, water can seep through the roof, causing extensive and costly damage to the roof surface below. In most cases, this damage is hidden until mold and rot appear. At RoofSlope, we have an exceptional product designed to fill in spots on a flat roof, which protects against ponding water. Intense, high winds can lift off roofing materials, such as the edges of shingles. This can force water and debris to become trapped underneath. Inferior attic space conditions can also have an effect on a roof’s longevity. When ventilation and insulation in an attic are poor, air can leak from inside a house, causing moist, warm air to accumulate. When weather conditions allow moisture to condense in your attic, it can lead to mildew and mold building up on the roof framing and roof deck, which causes wood rot. To learn more about how to protect your flat roof against ponding water, please contact us and find out the details about our products.